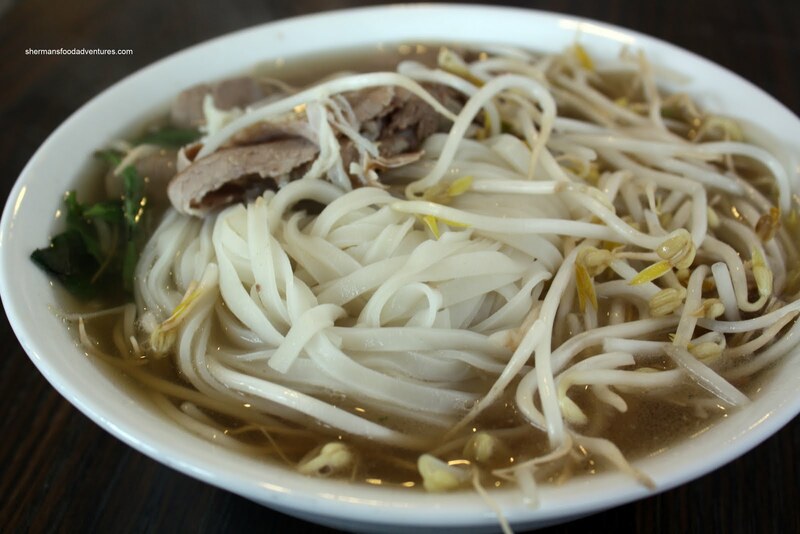 Everywhere you look in Vancouver, it doesn't seem very difficult to find some Pho. This is especially true in East Vancouver where there seems to be one on every block. Now, as we move farther away in the burbs, there are less and less options. This is especially true in North Delta. 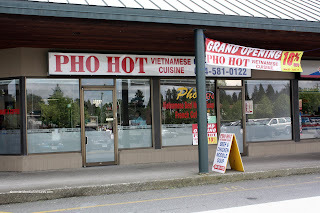 One of the few Vietnamese Pho joints out along the Surrey/North Delta border was a little place called Pho Dat Phu. Yah, I'll admit it. I was attracted by the name. Much like Pho Bich Nga and Pho T&A, I get amused easily by the unfortunate (or fortunate) names of the restaurants. One day, I realized that Pho Dat Phu had closed and there seemed to be renovations taking place. 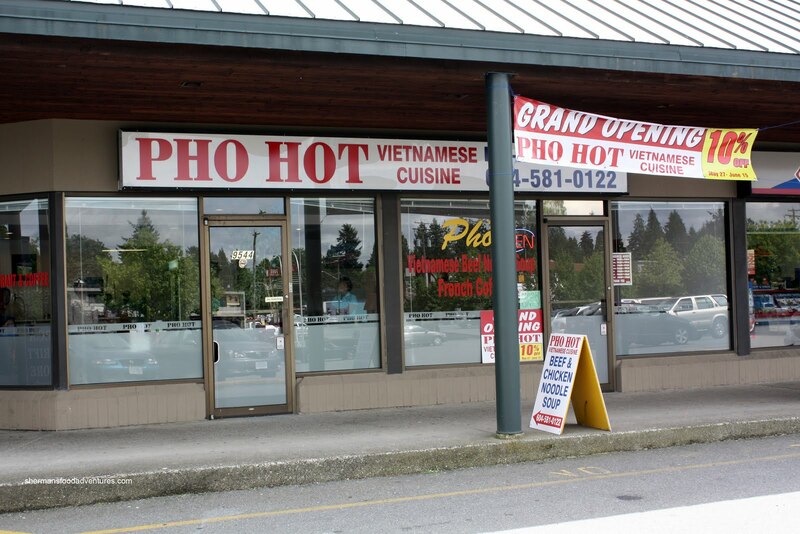 Then a little bit later, there was an advertisement in the window stating that "Pho Hot" was opening soon. Father D and I decided to give it a try on their opening day. With a fully renovated interior and a semi-open kitchen, the place definitely looks inviting. Furthermore, the washrooms have also been completely redone. The menu itself is now quite extensive and we took a sample from almost every section. We started with the Spring Rolls. These babies came piping hot on a plate accompanied by picked daikon and carrots. 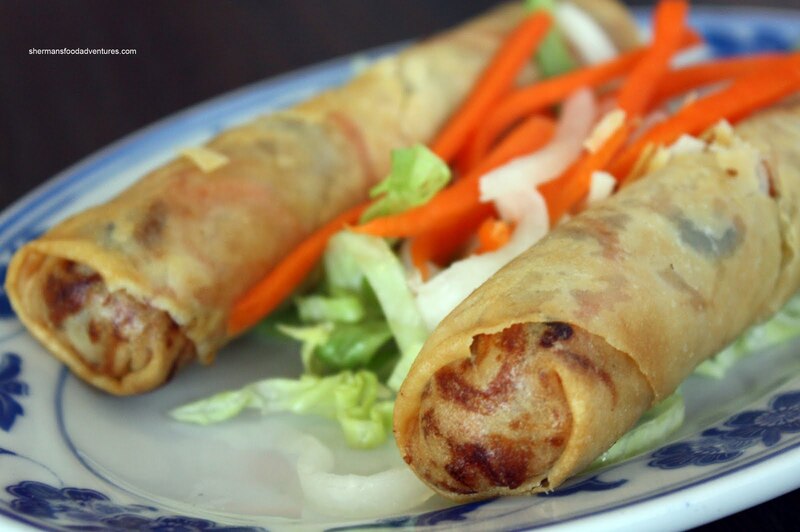 We were a little bit dismayed that they didn't use rice flour wrappers; but overall, they were still good. The filling had a nice meaty texture while the roll itself was crunchy. I ended up getting the Special Pho which has every conceivable meat such as rare steak, flank, brisket, tripe and tendon. I'm not sure if it was because of opening day because the large bowl of pho was quite substantial. There was easily enough meat for 2 portions. 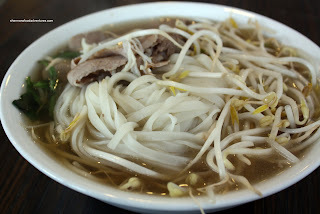 One thing that was a strange about the Pho was the noodles themselves. Rather than the thin rice noodles we see at every other Pho place, these were the thicker kind you'd normally use for Pad Thai. I felt that it was more difficult to eat and a bit heavy. I did like the soup though, there was a distinct meat flavour while not being too salty. I think if they change up the noodles, the Pho would be solid. Also, it's nice that they use limes rather than lemons. If a bowl of Pho wasn't enough, I gave their Banh Mi a try as well. The bread was crusty while being slightly dense. I liked that there was an ample amount of meat; but there was a predominant fish sauce flavour. With the addition of pate, that would provide some balance as well as adding another flavour component. Father D went for the Grilled Chicken with egg, shredded pork and pork chop on broken rice. He's a big eater; yet even he could not put a dent into this dish. 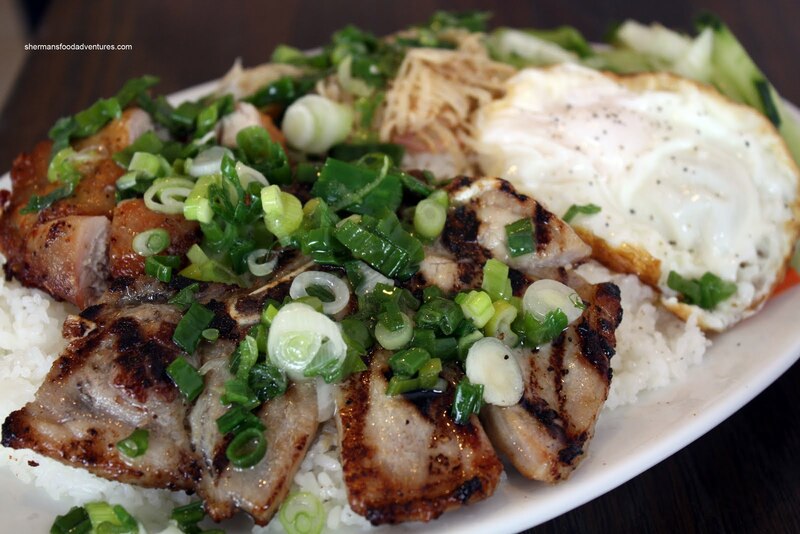 On a huge bed of rice, which could barely be seen through the ample amount of meat, lay perfectly cooked chicken and pork. He remarked that there was a good amount of flavour and charring. We're not sure if the portion size is reflective of their grand opening. 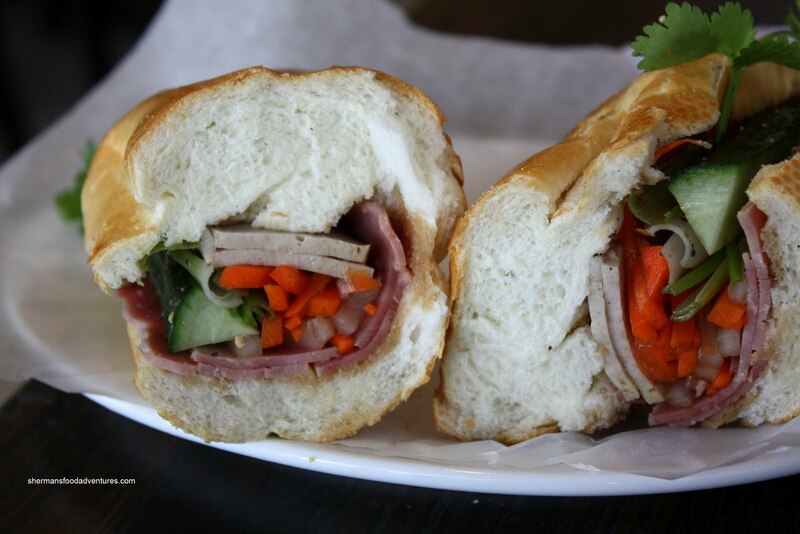 If they continue to offer these portions at the same prices (and some tweaks, such as the noodles and the pate on the banh mi), there is not much nearby that can compete.